Welcome, I’m Callum Rivett and in this weeks blog for The Football Front I’m going to show you just how far my beloved Norwich City have come in these past few years. And it is really quite astonishing if you hadn’t heard it before. At the moment, Norwich are sitting pretty in the Premier League, mid-table, safe by Easter and everything is going to plan. But look back two and a half seasons and we were 23rd in League One, having just been hammered 7-1 by Colchester on the opening day. That was inexplicably the turning point in the Canaries fortunes, as the club soon went on to overturn an 11 point deficit to beat Leeds United to the title by 9 points, then gain promotion to the Premier League a year later. A terrible day in Norwich’s history, yet one that set off a remarkable chain reaction. Norwich City lost 4-2 to a Charlton side on the final day of the season and were relegated to League One, the third tier of English football for the first time since 1960. A lacklustre performance by the yellows summed up our season. A lot of new signings were made by Bryan Gunn during the summer, one of whom was Grant Holt, a legend at the club. 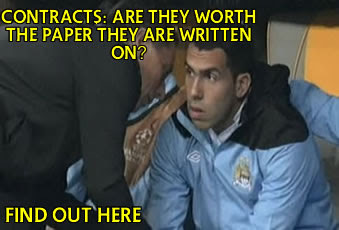 At that point, City were very, very close to going into administration and possibly liquidation, a truly dire situation. But we were bailed out, and look where we are now. 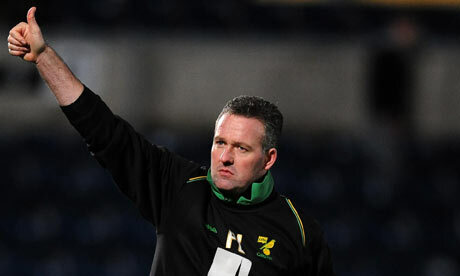 Paul Lambert was hired on the 18th of August, 2009, and we have never looked back since. He took a team low on confidence, of relatively poor quality and turned it into a back-to-back promotion winning team. Ironically, Norwich were promoted when they won 1-0 at Charlton, the same place they got relegated the season before. 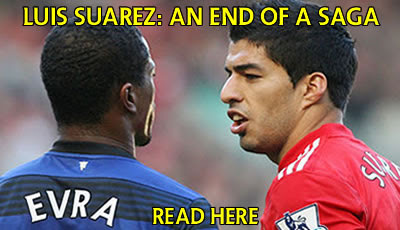 Football can be ironic like that. He made a lot of signings in the summer before the return to the Championship, one being midfield maestro David Fox who is so unbelievably underrated by the media it’s unreal. Without him in the team, Norwich lack the cutting edge needed and he keeps us ticking over in midfield, playing brilliant passes and winning vital duels. The 2nd of May, 2011, is the date that will go down in Norwich City’s history. When Cardiff lost 3-0 to Middlesbrough earlier in the day (we are indebted to you, Middlesbrough, and we thank you very much! ), Norwich just needed a win at Fratton Park against Portsmouth to guarantee Premier League football next season. Elliot Ward went close, chances were missed, and it looked like that goal would never come. But, on the fiftieth minute, a delicious David Fox cross was met with a superb diving header by Simeon Jackson to send the 3,000 Norwich fans behind the goal into raptures. At the start of this season, I predicted Norwich and Swansea to stay up comfortably, with QPR to be relegated. That looks like it may happen, and I’ll tell you the reasoning behind my predications. Look at Norwich and Swansea, indeed they play good football, but they are also playing with confidence and looking like a team. Whereas QPR on the other hand, look like individuals playing for a move to a bigger club. Joey Barton and Djibril Cissé are names that are too big, I suppose, to play for a team that are fighting for survival. Norwich and Swansea have stuck with players that have a point to prove in the Premier League, and look how well we’re both doing. It’s a pleasure being a Norwich fan, and I hope it continues.